Brogue faux leather dress boot by Demonia has wicked skull buckles. The Brogue mens ankle boot by Demonia has classic, dressy styling perfect for prom or your wedding. 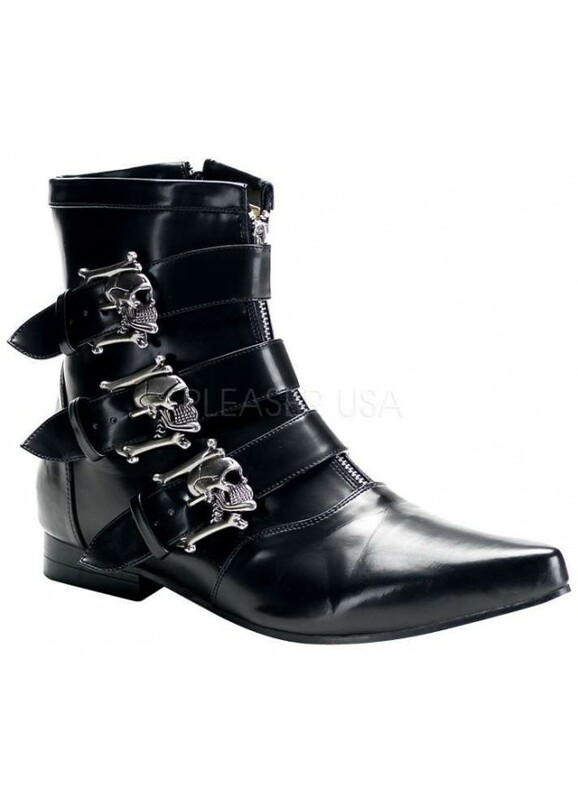 The skull pewter finish buckles gives is extra edge Zip front style, pointy toe, 1 inch heel and topstitched detail. The perfect boot to wear with pants - even jeans! 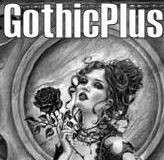 Great for costumes too like vampire or pirate. All man made materials with padded insole and non-slid sole. Item Number: PL-BROGUE-06 | Approximate Size (Inches): 10.00 wide x 12.00 deep x 6.00 high | Approximate Shipping Weight: 4.00 lbs.